That is why it’s extremely important to find a practitioner who doesn’t just look at basic lab work and uses conventional drug therapies to help a person with low thyroid function. A thyroid problem isn’t just a thyroid health problem – it’s an entire body problem. When we say, “It’s an entire body problem” we simply mean that there are many things that can go wrong in the body that can cause the thyroid gland to malfunction. 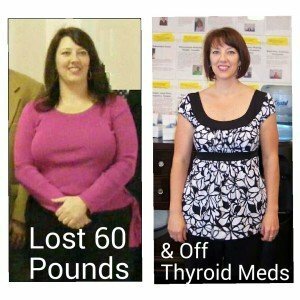 If you are taking medications but you are still having trouble loosing weight, are tired or have other thyroid symptoms, then trust me, there is absolutely more to your thyroid problem than you currently are aware of. For example, there are over 40 different things that can go wrong in the body that can cause or contribute to a thyroid problem. In the below eye-opening short video, Dr. Rob covers one of 40 different causes to thyroid problems that most doctors don’t ever talk about. The thyroid is a small butterfly-shaped gland located at the base of your neck. It makes thyroid hormone, which is carried throughout your body in the bloodstream. Thyroid hormone controls metabolic activities, including how fast you burn calories, lose weight and your heart rate. So, it stands to reason that when your thyroid is underactive, you feel tired, sluggish, gain weight and experience other unpleasant symptoms. And, hypothyroidism affects more women than men. It can cause women to gain weight, experience menstrual problems, and symptoms that can even be mistaken for menopause. 1) Weight gain despite healthy diet and exercise. 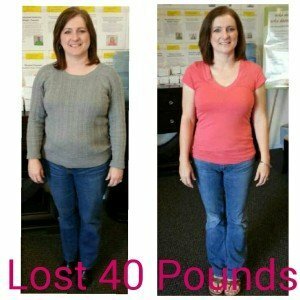 Did you know that exercise itself doesn’t cause weight loss? Instead, exercise triggers hormones that cause you to lose weight by boosting your metabolism and helping you to lose fat instead of storing it. The thyroid hormone thyroxine is one of those hormones that helps us lose fat. If you are having trouble losing weight, it may very well be a sign of an underactive thyroid. 2) Being tired and/or not sleeping well. Thyroid imbalances, along with adrenal gland imbalances, are a major cause of fatigue. The thyroid gland and adrenal glands (glands located on top of your kidneys) work hand-in-hand to support your energy levels. Therefore, it’s important to understand exactly how they are functioning. In our clinic, we use specialized holistic labs that help identify the underlying cause to many thyroid and adrenal problems. We don’t treat these conditions. 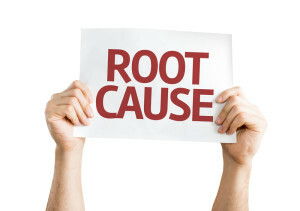 Instead, we identify the root cause of the thyroid problem, give the body what it needs and then the body heals itself. 3) Depression, mood swings, brain fog, and lack of motivation. An underactive thyroid reduces the speed at which your body functions. Basically, low thyroid hormones = low energy. This often leads to inactivity, weight gain, depression, a feeling that you can’t think clearly and lack of motivation to start or complete tasks. When you do not have adequate levels of thyroid hormones, oftentimes you stop feeling alive. There are many other symptoms which could indicate an underactive thyroid. They include: poor digestion/constipation, sinus or allergy problems, heavy menstrual periods, headaches/migraines, low body temperature, decreased libido, heart palpitations, blood sugar spikes, aches/pains, and even thinning hair, dry skin, cold hands/feet and brittle nails. 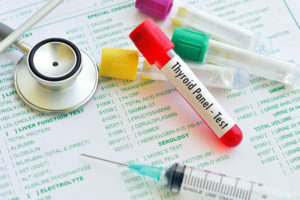 Mainstream medical lab testing normally assesses thyroid function by testing levels of only a few markers: T4, Free T4, T3, Free T3 and Thyroid Stimulating Hormone (TSH). However, there are some big problems with what’s considered “normal” lab results. For one, the standard normal lab range for TSH is .45-4.5 mIU/L, a range that is simply too large. We find there is a big difference from how a patient who tests at 4.2 mIU/L feels when compared to a patient who tests at 2.4 mIU/L. Most primary care physicians look at T4 levels because they treat low thyroid function with this form of the hormone. Did you know that 95 percent of prescription thyroid medications (including Levothyroxine, Levoxyl, Synthroid, etc.) are made of synthetic T4? The problem is T4 is not very active and needs to be converted to the more active form of thyroid hormone called T3 to have a meaningful effect on the way your body feels. 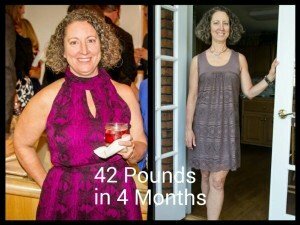 There are many things that can block the conversion of T4 to T3 in the body and more importantly, there are problems in the body that can prevent T3 from working properly. In addition, you might have great TSH, T3 and T4 levels in the blood but if the hormones can’t work properly in the body you are still going to have thyroid symptoms. It’s like having a car that looks beautiful with a polished exterior and beautiful interior but doesn’t work right. Just because it is there and you can see it doesn’t mean it’s going to function. You can have beautiful levels of thyroid hormone but if the hormones don’t work correctly, you are probably going to have trouble losing weight and not feeling well. There are many things that can go wrong in the body that can stop the thyroid from working properly. In our office we use a specialized examination procedure called the Holistic Thyroid Examination and Holistic Lab testing not done in most medical or alternative clinics. 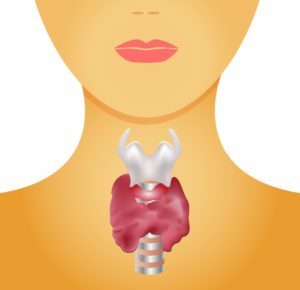 These procedure help us identify the underlying cause to a person’s thyroid problem and symptoms. The Holistic Thyroid Examination and Consultation are a person’s first main step and are normally between $125 and $175 but now through June 30th they are only $20. If you’d like to schedule for an exam or would simply like more information please fill out the contact form at the bottom of the page or Free Online Health Evaluation and one of our expert staff will contact you ASAP to discuss how we could help. Finally, I want to discuss Hashimoto’s disease. Most experts agree that Hashimoto’s is the No. 1 cause of hypothyroidism in this country. Hashimoto’s is actually an autoimmune disorder, where the body mistakenly attacks the thyroid, preventing it from making enough hormones. The typical treatment for Hashimoto’s is prescribing the patient a synthetic thyroid hormone. When you add synthetic thyroid hormone to the body the thyroid could stop the production of it’s natural hormones, and as a result, the thyroid gland will shut down its own hormone production. The problem is this treatment does NOTHING to address the cause. Instead, the autoimmune disease continues to progress and leads to more and more health problems. The reason why we have such great success with Thyroid conditions is because the holistic lab testing that we’ve developed helps to identify the underlying cause to the thyroid problem. As you can see, there are some very big problems with the current standard medical approaches to both testing for and treating hypothyroidism. That’s why we at AlternaCare we work towards addressing the cause to the thyroid problem. We don’t “treat” the disease, instead we address the cause and create a customized program designed to help create a healthy body. 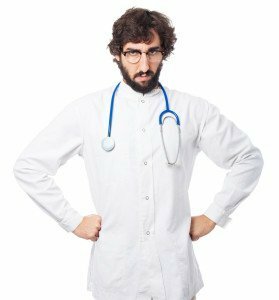 If you’d like to schedule for the Holistic Thyroid Examination and Consultation–only $20 through June 30th (normally $125-$175) –or would simply like more information, please scroll down to the bottom of the page and fill out the contact form or for a free consultation please fill out the Free Online Health Evaluation and one of our expert staff will contact you ASAP to discuss how we could help.